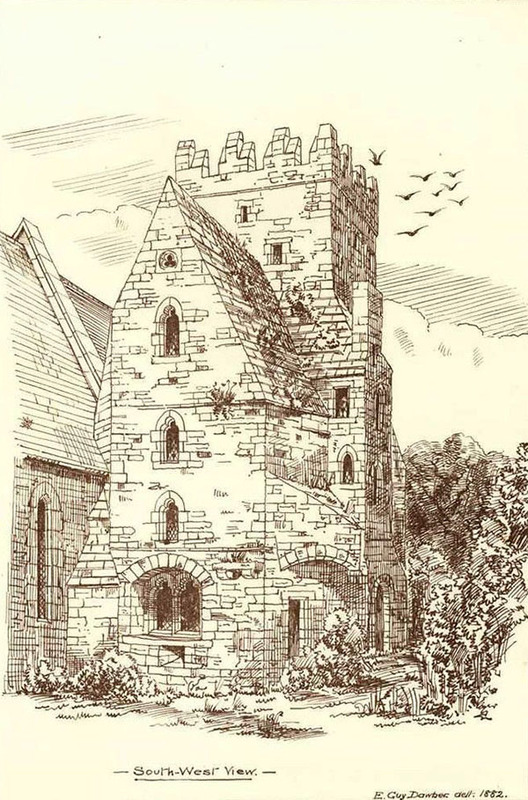 The oldest part of the church as it stands is medieval, dating from the 12th century, and believed to have been home to a small monastic settlement. The main historic building is 48 feet by 18 feet, with a double roof of rough stone set with cement. The space between the inner and outer, wedge-style, roof is usable. Partway along the roof is a small stone tower. There is a small door on the south face, with a rough arch, and traces of smoother arches on either side. 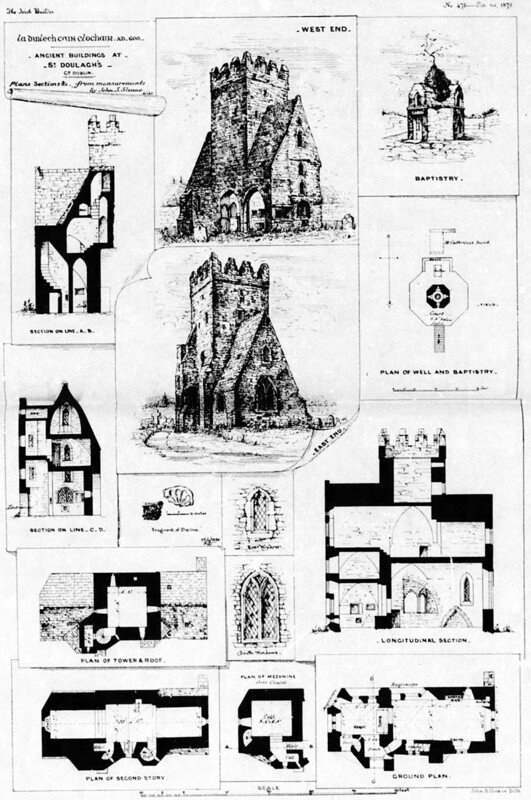 Inside are a smaller room, with the reputed tomb of St. Doulagh, and a larger room, the former main place of worship, with a stairway to the upper floor and tower. Along the stairway is the Prior’s chamber, then the area where the clergy ate and slept. 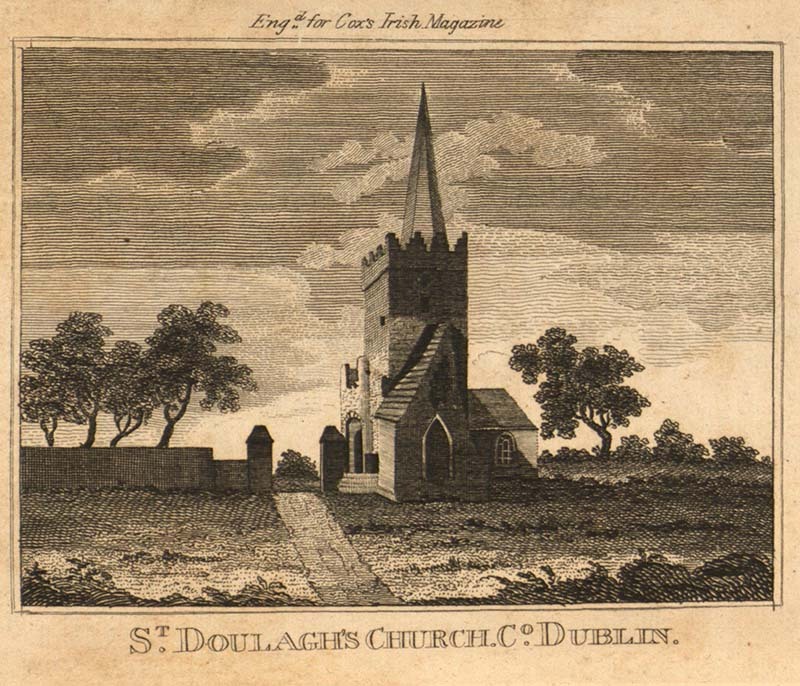 Aside from the main church building, St. Doulagh’s features, in the field beyond the church, nearer the road, a low octagonal building, covering a spring, which was probably used as a baptismal font, feeding also an open-air pool with stone seating, all these in a sunken stone enclosure. Linked to this enclosure by a water channel is a stone pool-house, with a body of water called St. Catherine’s Pond. The octagonal building is believed to have been a baptistry, the only surviving detached baptistry in Ireland, and the pool alongside may have been used for adult immersion. 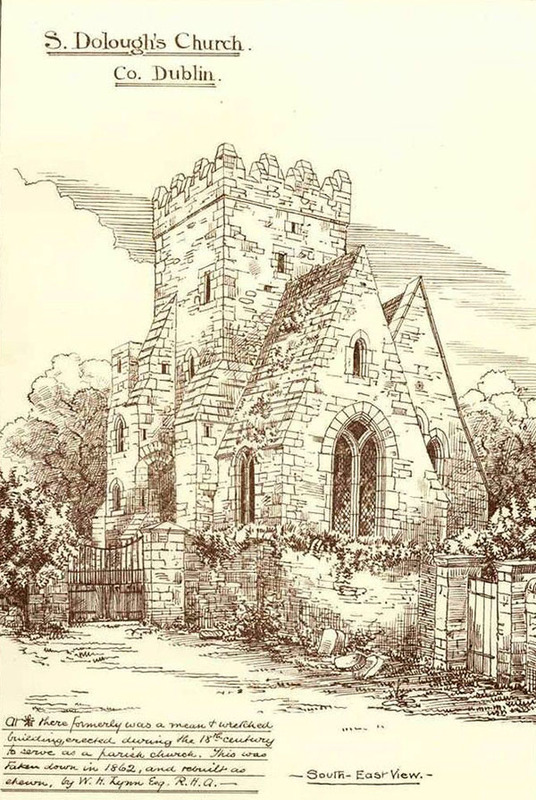 The baptistry was repaired and supplied with fresco paintings of St. Patrick, St. Doulagh, St. Bridget and St. Columcille, and others, by a resident of the vanished village of Feltrim, in 1609. The frescos were damaged by soldiers of Sir Richard Bulkeley of Dunlavin after the Battle of the Boyne. A modern church was added in 1864, and consecrated in 1865. The complex was cleaned and the baptistry complex in particular restored in 1991, although the Victorian church element was not a main focus of the work, which was State-funded.